I think they are very pleasant and personable people. I would recommend Martin & Harris Appliances. They seem to be very nice, professional, and courteous. It was just very easy to deal with them, and they always have what I'm looking for. They're a local company, which is nice, and everyone working there is very knowledgeable. They have a nice selection, and I like shopping locally, rather than some big chain store. 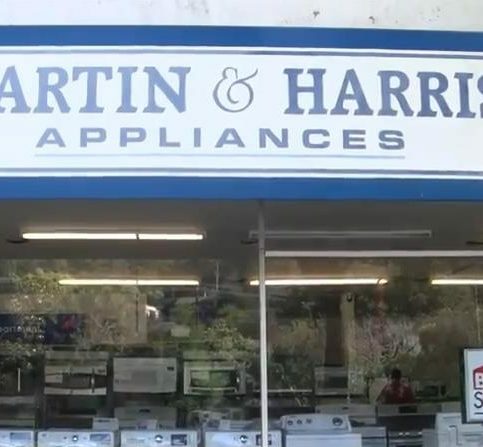 Martin & Harris Appliances sells refrigerators, dishwashers, laundry machines, ovens, cooktops, and many other products from top manufacturers such as Maytag, General Electric, Whirlpool, KitchenAid and Bosch. 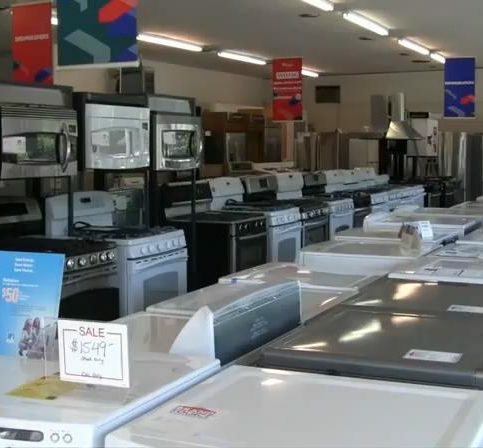 The family-owned and operated company’s San Rafael showroom features appliance demonstrations in practical home environments, and its in-house sales professionals are trained to help customers identify the right products to fit their specific needs and budgets. 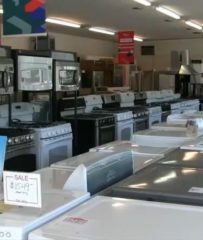 Martin & Harris Appliances also features a comprehensive service and parts department that fixes most major appliance brands. To learn more or to order appliances for home delivery, Mr. Berry invites potential customers to visit www.martin-harris.com. 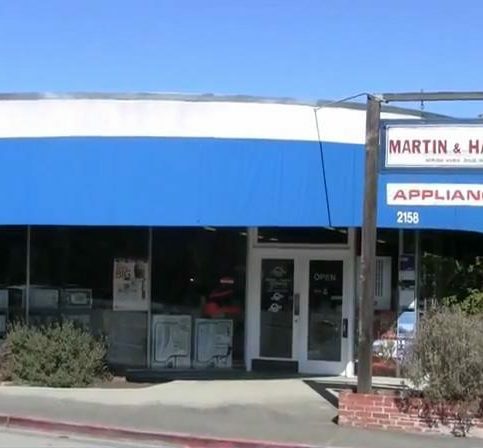 Martin & Harris Appliances sells refrigerators, dishwashers, laundry machines, ovens, cooktops and many other appliances from top manufacturers like Maytag, GE, Whirlpool, KitchenAid and Bosch. 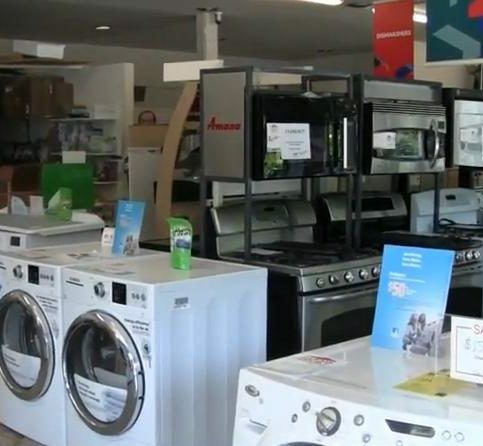 The company’s spacious showroom features appliance demonstrations in home-like environments, and its in-house sales professionals are trained to help customers identify the right products to fit their specific needs. Know what the manufacturer recommends. “When you get a new appliance, read the booklet that comes with it,” advises Mike Patterson, sales associate at Martin & Harris Appliances in San Rafael. “Learn the specific advice the manufacturer offers for care, operation, cleaning and maintenance, and follow their recommendations to get the most life and use out of your appliances.” Be aware that you can void some warranties by not following manufacturer recommendations for care and operation. • Inspect any seals (including those on doors) for wear. • Don’t allow hard water scale, food particles or dirt to build up. • Never overfill washing machines or clothes dryers. Smaller loads can mean cleaner clothes and longer-lasting machines. • Use suggested detergents and cleaning solutions for each machine. • Make small repairs and replacements—seals, gaskets, belts and hoses—when required. Waiting too long to replace aging parts can force your appliances to work harder and drastically reduce their lifespan. When in doubt, get professional advice. If you have questions about your appliances, call a professional. They can give you care and maintenance advice and even help you when you’re thinking about buying new appliances. Q: Do you also deliver and install appliances? A: Yes, we offer free local delivery and installation on free-standing appliances. Q: Do you service the appliances you sell? A: Yes, we service all the brands of appliances we carry. Our service and repair technicians have been here for 30 years and are factory authorized, so you can be assured they’ll take care of your problem. Q: Can you service appliances that weren’t originally purchased from your store? A: Yes, if it’s a brand that we carry and are authorized to repair. A: All our appliances come with standard factory warranties, and we also offer extended warranties (usually five years) on most appliances. Q: Do you take old appliances away after installing new ones? 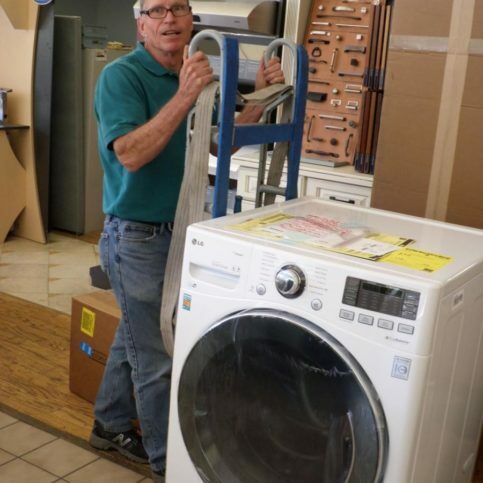 A: We do haul away most appliances, including refrigerators, washers and dryers. There’s usually a small fee, but we can tell you what that will be upfront. Q: What are your service and delivery hours? A: Generally, we offer a two-hour time window for service and delivery. If you need work done at a specific time, we can usually honor that. Mike Patterson is a sales associate at Martin & Harris Appliances, a Diamond Certified company since 2009. He can be reached at (415) 347-6979 or by email. A: I have two: Whitehall Lane Winery and Stags’ Leap, both of which are in Napa. A: If I don’t have anything going on, I like to just crack the window open and listen to the rain. Since there’s no such thing as a “plumb” home, thoroughness is crucial for getting an accurate measurement of your space. For example, if you’re measuring for a new refrigerator, there are a number of dimensions you need to take into account. Face the refrigerator and measure its height on the left side from the floor up to the highest obstacle (either the ceiling or a cabinet). Repeat this measurement in the middle and on the right side. The smallest of these three measurements is the height you have to work with. After determining height, perform similar measurements of the refrigerator’s width and depth. Depth in particular is an area where refrigerators can vary dramatically—typically from 27 inches to 36 inches. In addition to determining the dimensions of the space itself, look for any obstacles that may get in the way when installing the appliance. By proactively taking measurements, you can help your appliance retailer find a product that fits both your kitchen and your needs. First thing we’re going to do is we’re measuring a refrigerator space and we’re going to measure the height on the left side from the floor up to the obstacle of the cabinet, if it’s a cabinet, above. We’re going to write down that dimension. We’re going to repeat that again in the middle, and then we’re going to repeat that again on the right side, and that’s as we’re facing the space. That will give us our dimension and you take the smallest number of those three dimensions, and that’s the space you have to work with. We’re going to do the same thing quite simply left to right up high, down in the middle, and then again down below, and we’ll take the smallest dimension there and we’ll know what we have to deal with in widths. The other thing is depth and that is – there are a lot of variances in depth. So, they’re going to start out at about 27. It depends on how far out you want your refrigerator to come and what capacities you’re looking for, but that will vary from 27 inches all the way up to 36 inches. You also want to look out for obstacles down in this space. Anything in my way, like molding running around the bottom, you would then measure that as well and deduct that from your dimensions because it is in the way. So, now that you’ve measured your space, you’re going to take those dimensions to your favorite retailer and give them the dimensions so they can find the product that best fits in this space and will function the way it’s supposed to. Martin & Harris Appliances : Average 9.1 out of 10 based on 250 unique customer surveys of customer satisfaction. They are just good service, everything they say turns out correct. The service is just great. They have great brands and are very knowledgeable. They know what they are doing and what details are on each brand. To explain what you want and what your problem is, and they have technical people and they are able to answer your questions. I thought the store is very nice, the guys there are super knowledgeable. They know what they are doing and talking about. If you want any kind of appliance or water filter, they are the place to go. Being personable and giving hints about what to do and how to install it, and if something is going to be late in their order, they will let you know. I liked how straightforward and honest they are. Also, the product that I purchased, a Bosch dishwasher, is the best dishwasher I have ever had. It did what the salesperson said it would do and I can put dirty dishes into it and it actually cleans them. I would tell the world about this dishwasher. I just thought that they were very nice and the gentleman was willing to check to see if what I wanted was in stock. I think they have a real good price, they are local, and they will take care of you. They are not biased towards one brand. I would recommend them to people, they are really professional and the information they gave every time I have used them was correct. They knew their stuff, had good appliances, and professional people. I was happy with the service they provided. It was very straightforward and they are local. They knew what they were doing and I had been through Sears for service on my original contract and Sears never successfully fixed, but when I took it to Martin and Harris, they fixed it on the first try. They have a lot of good brands, they know what ones are best for the measurements you need. I purchased from them a few times already and I like to support local businesses. The delivery guys were the best. That besides being friendly, we like supporting local businesses that are price competitive with the big ones. We own a beauty salon and when one of my clothes dryers broke, they did their best to come out as soon as possible. You can call them up and ask them to do something and you don't have to worry about it as they do a good job. I actually have purchased a lot of things with them. I find that they are competitive, maybe not the cheapest, but they work with my schedule and they take care of whatever I need and I find that they are available. Quick response, and no real problems with my appliances as they put in a whole new kitchen for me. I think just their service all around and they are very accommodating.